All iPhone 7’s are the same with only the storage difference and their color appearance. And everybody talks about the specs of such products all the time. However, I want to speak of the later and especially the iPhone 7 gold as I have got myself one in that color. Technically my phone is the same as all of yours in specs and even in color with many users. But those who have the same iPhone in different colors will be in awe when you see why this one is quite better than the rest. Right now iPhone 7 can be found in so many colors. There is the iPhone 7 Gold, and gold rose, silver and the iconic black one. Most people dive for the black and silver one. However, the gold one seems more elegant to me. But I’m not going to talk about what I think about it and rather show you why you should think of getting the iPhone 7 gold. The iPhone 7 gold has a white faceplate. For a compulsive reader like me that is great as there is no black frame. This way reading eBooks is more pleasurable and comfortable for the eyes. However, if you are more into gaming than reading stuff, then the black faceplate iPhones will suit you better. But in the entire, gold one is better as more people use the internet to explore. And this type of frame gives more lighting to read stuff better. Many people opt for the black iPhones due to their concern that the white faceplate might fade. But for your information, this is something that you shouldn’t worry about a bit of the iPhone 7 gold has a great faceplate. This doesn’t fade away as they used to in the past with white faceplates. So, you don’t need to buy the black colored phones for such petty reason. Be bold and get the rose gold or the gold color iPhone instead. The iPhone 7 gold cover shows scratch like any other covers. However, comparing to the black it is hardly noticeable. With the jet black covers, you can’t ignore the scratches if you even try hard enough. But if this is a deciding factor for getting a colored cover for your iPhone then the silver one is by far the best to be true. The Gold cover comes close second. Black is the color that will never go out of style. And hardly can you get wrong with this color. So, if you want to play safe, then iPhone 7 jet black is for you. 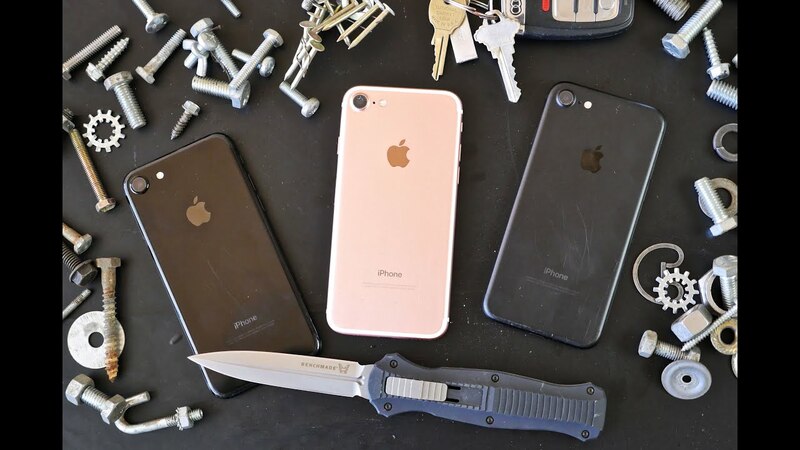 On the other hand, silver is a graceful color, but if you wish for elegance and still want to stand out from the rest, then iPhone 7 gold is the one you need. It is bold, elegant and most importantly looks great with every type of clothing. I know the color of the mobile is not an important factor when you buy a new phone. However, if you are buying the iPhone 7 and one to stand out from the crowd, then I will gladly say to get the iPhone 7 gold any day of the week.